It is a luxurious delicacy for the most exquisite tastes. And yet black caviar could soon become more affordable after Russian scientists discovered a technique to harvest the eggs without killing the sturgeon. ­If applied, it might bring back the days when families could enjoy caviar without breaking the bank. Limited supplies and time-consuming production – the luxurious delicacy is one of the most expensive foods on the planet. However, that may soon be a thing of the past as Russian scientists have created a new, sustainable way of producing caviar. “We have bester here – a hybrid between beluga and sterlet. A beautiful fish, but also hardy and very productive,” says Igor Burtsev of Russia’s Research Institute of Fishery. Burtsev has been working with sturgeon his whole life and even has a species named after him. Thanks to special living conditions he created, his fish mature three times faster than in the wild. Hence the caviar can be farmed all year around. Burtsev is also behind a unique technique to harvest the roe without killing the fish. Rather than being culled, like elsewhere in the world, the female fish is what can best be called “milked”, gently and harmlessly. 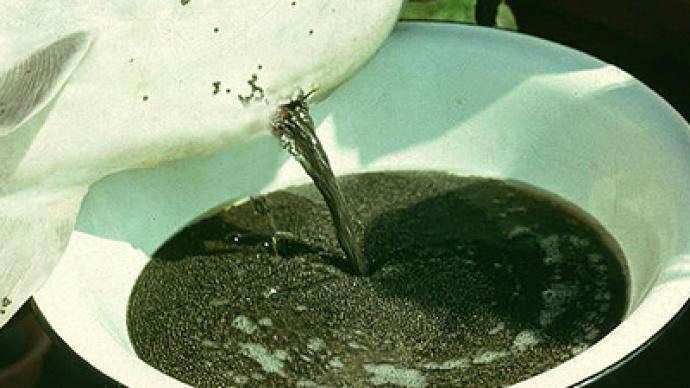 Each time a fish is milked it can produce up to a quarter of its weight in caviar. This approach not only makes caviar more accessible but also helps preserve this increasingly scarce and beautiful fish. Once Russia had about 90 per cent of the world's sturgeon stocks. But by the turn of the century, wild sturgeon were close to extinction, and poachers were running the show. To preserve what was left, Russia halted commercial harvesting in 2002. Five years later, the sale of sturgeon and black caviar were banned altogether. Poaching escalated, and so did the prices. Now, the country is trying to return to the heady days of Soviet caviar abundance. Russia’s largest sturgeon farm boasts artesian water, organic fish food, and even spa treatments for the inhabitants. The head of this oasis says this all leads to one inescapable fact. 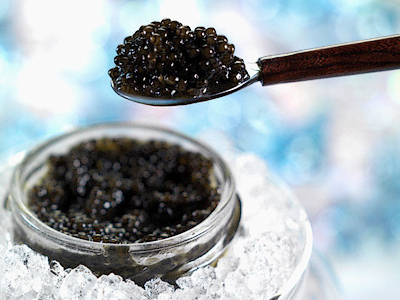 “An unprofessional consumer will hardly be able to tell the difference between the wild and farmed caviar. In fact, he can only taste it – and if it tastes good, that means the caviar is ours,” Yefimenko Vladimir, Director of Diana Fish Trading, told RT. With all that, most experts agree that demand will always outstrip supply. And although black caviar may become cheaper, it will never be cheap. Is cheaper caviar on the way?